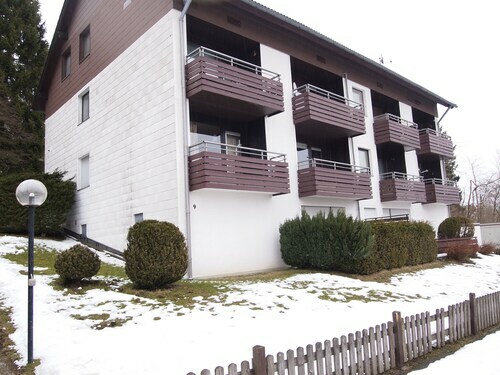 Located in Goslar Rural District, this apartment building is within 12 mi (20 km) of Harz National Park, Brocken, and Wurmberg. Wurmberg Gondola and Grenzlandschaft and Museum Sorge are also within 12 mi (20 km). 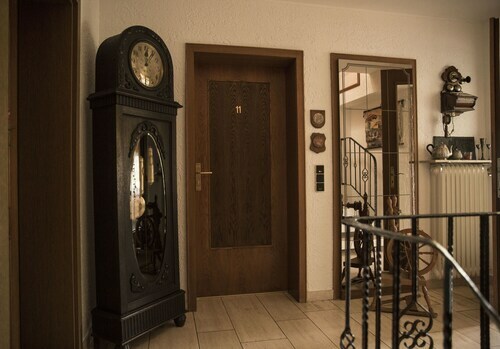 Located in Goslar Rural District, this apartment building is within 12 mi (20 km) of Harz National Park, Brocken, and Wurmberg Gondola. Grenzlandschaft and Museum Sorge is 12 mi (19.3 km) away. Located in Goslar Rural District, this country house is within 12 mi (20 km) of Harz National Park, Brocken, and Wurmberg. Wurmberg Gondola and Grenzlandschaft and Museum Sorge are also within 12 mi (20 km). How Much is a Hotel Room in Sankt Andreasberg? 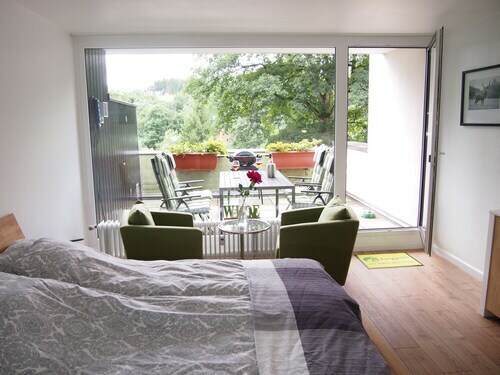 Hotels in Sankt Andreasberg start at $45 per night. Prices and availability subject to change. Additional terms may apply. Finally taking that trip and looking for accommodation right by the bright lights of Sankt Andreasberg? 7 hotels listed on Travelocity sit within 6 miles (10 kilometers). Look through a selection of Travelocity-listed accommodation options situated within driving distance, such as the Hotel Riemann and Torfhaus HARZRESORT. It's worth checking out the Ringhotel Weißer Hirsch as well as the Landhaus Zu den Rothen Forellen. 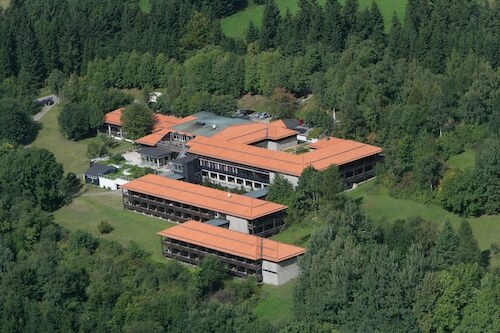 The Ringhotel Weißer Hirsch is just 14 miles (23 kilometers) away from the heart of Sankt Andreasberg. The Landhaus Zu den Rothen Forellen, is situated only 12 miles (20 kilometers) away. Or, you could check out the amenities and rates at the Travel Charme Gothisches Haus or the Maritim Berghotel Braunlage. If you have time, adventurous travelers should travel to other places in the Saxony-Anhalt region. Spend time at Saxony-Anhalt's castles and also photograph the region's forests and rivers. In this region of Germany visitors can take up the chance to partake in snowboarding. 14 miles (23 kilometers) from Sankt Andreasberg, you will reach Goslar, where you can find Goslar Imperial Palace and Mines of Rammelsberg. The Altstadt Hotel Gosequell and RAMADA Hotel Baeren Goslar are a handful of the convenient short and long-stay alternatives in Goslar. Or, you could stay in Sorge, 7 miles (12 kilometers) east of Sankt Andreasberg, where you can pick from the Hotel Tannenpark and Landhausferienwohnungen Am Brockenblick. If you're staying in Sorge, be sure to venture to the Grenzlandschaft and Museum Sorge and Ring der Erinnerung. Prior to saying your goodbyes to Harz, you sure ensure you see a fast-paced game. Visit HDI Arena, located to the northwest of Sankt Andreasberg. Modern travelers that are hoping to find accommodation options near the stadium should read about the Cityhotel Königsstraße or the Sheraton Hanover Pelikan Hotel. Situated 55 miles (88 kilometers) outside the middle of Sankt Andreasberg is Erfurt Airport. Find nearby Travelocity-listed accommodation at Airport Hotel Erfurt or Hotel & Restaurant Park-Cafe ISA.